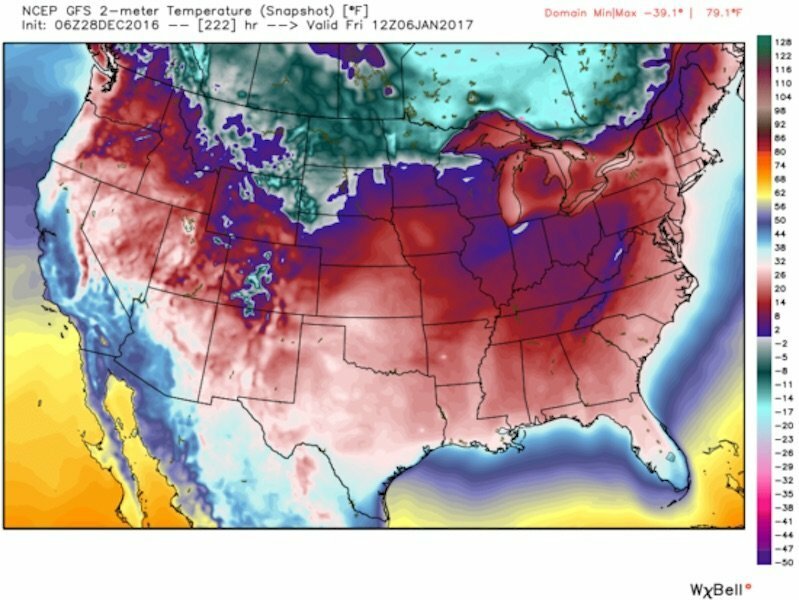 A polar blast is going to hit the USA during the first week of 2017 with 48 US states going below freezing. This anomalous cold air outbreak will be widespread and persistent. 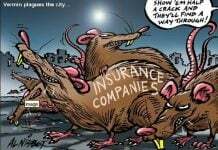 So get covered! Early next week the cold air will enter the U.S. through Montana and the Dakotas, where temperatures will likely plunge into the minus 30 deg F (or colder) range. At the longer range, there appears to be a reinforcing plunge of even more frigid air heading south out of northwest Canada in the second week of January.